No matter what sporting event you wear this hat to, show that you’re on Luther’s team! 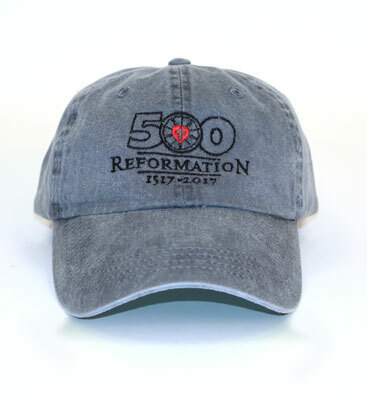 This 100% cotton baseball cap features the Reformation 500 logo. The back has an adjustable side closure with brass. Muted charcoal. Pigment-dyed to give the fabric a worn appearance.